Helosan is a super udder cream for cows. Also for dry and aching dog's paws. But also for the prevention of cracked heels in horses. For people; HELOSAN can be used on the entire body but is particularly suitable for the daily care of vulnerable areas, such as hands, feet, elbows and knees. It is easy to lubricate and penetrate quickly into the skin. Helosan contains no dyes or perfumes. 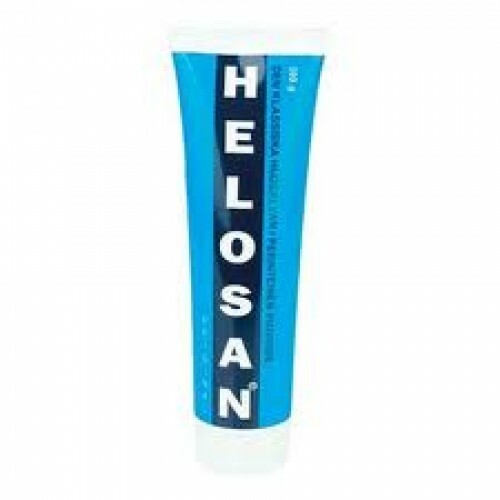 HELOSAN is a soothing multi-purpose ointment. It is ideal for all types of dry and sensitive skin. HELOSAN contains moisturizers and emollients which resembles the skin's natural barrier fatty material, which makes it especially suitable for dry, sensitive and irritated skin. HELOSAN folds as a temporary layer above the skin and gives your skin time to hydrate and makes it resistant to external influences. The carefully selected composition renders the skin's natural balance. Simply apply to the skin.